February 27, 2015 proved an unexpectedly warm and sunny day in Vancouver, Canada – the perfect foreshadowing for an equally stunning experience that evening at Hi-Fi Centre’s grand opening celebration. With a veritable Who’s Who of audio experts and equipment on hand – along with live music, food, and drinks – the event felt more like a mini-version of the Rocky Mountain Audio Festival than a store-opening party. Representatives from AudioQuest, Auralic, Bowers & Wilkins, Bryston, dCS, McIntosh, Totem Acoustic, Transparent Audio, Vienna Acoustics, and other manufacturers were there to answer any questions about their products. 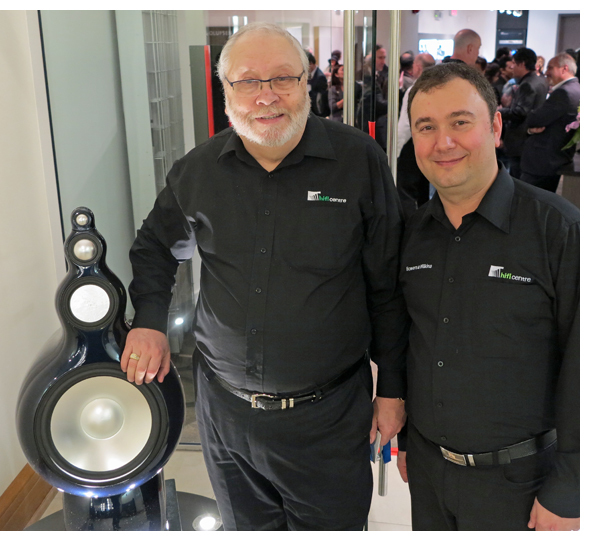 And of course, we enjoyed the chance to meet many local hi-fi enthusiasts. Clearly, Hi-Fi Centre has built a loyal customer following. During my tour of the facility from Igor Kivritsky and opportunity to talk with him about the new space, it didn’t take long to realize the magnitude of work culminating in this celebration. The explanation requires some backstory. 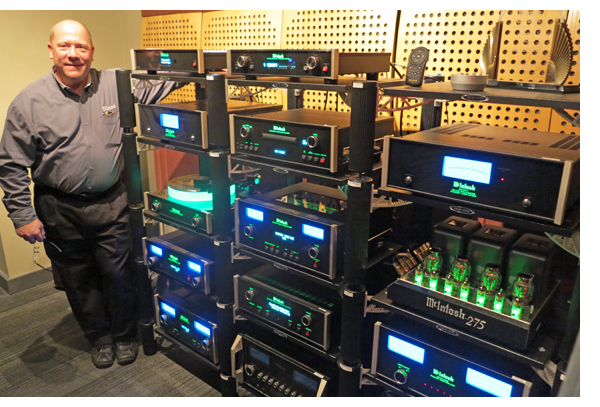 Hi-Fi Centre in Vancouver, Canada, has remained a family-owned business since 1984, when Igor’s father, Alex Kivritsky, founded the store and began selling audio equipment. 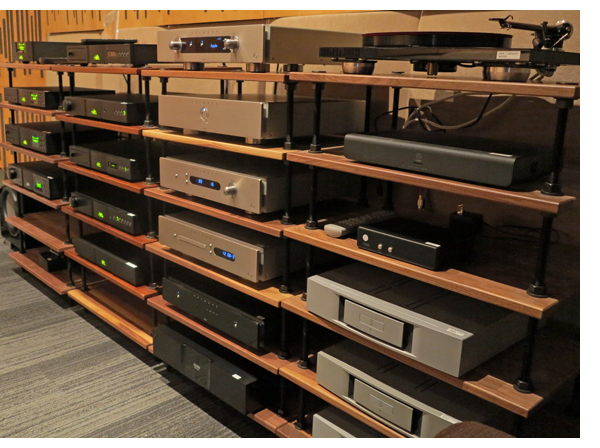 As Igor describes the history of Hi-Fi Centre, his father invested a total of $30,000 – the cost of many one-home hi-fi systems the store sells today – to lease the original 1,600 square foot location and purchase inventory. Working seven days a week for two years, Alex and Igor built upon the store’s humble roots. Over time, the store space expanded in the same way a patchwork quilt does. Many improvements took place over time, continually maximizing the materials and space available. Igor remembers fondly the day in 1994 when the business next door, a leather jacket retailer, moved out and allowed Hi-Fi Centre the opportunity to expand to 4,500 square feet. Eventually, Alex transferred to Igor the store’s helm, and together they continued to build their business. 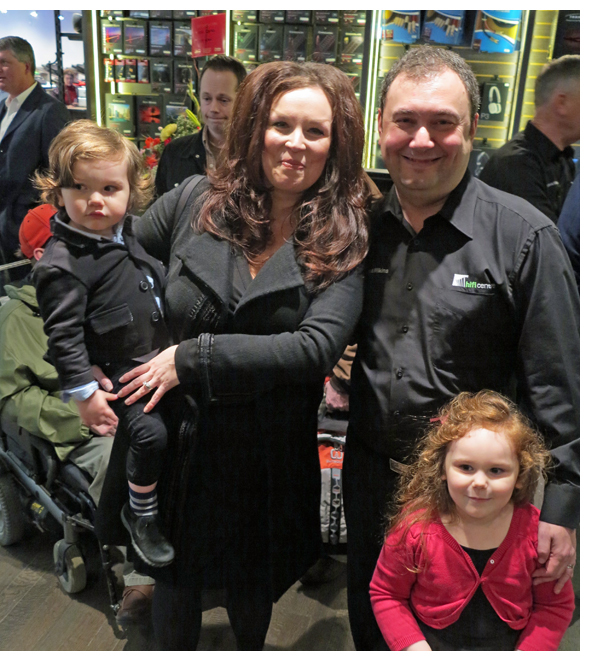 Beyond Igor’s own family, Hi-Fi Centre’s 10 employees are like extended family. Half of them have remained with the company 10 or even 20 years. With that much experience under their cumulative belts, customers can be assured of helpful and knowledgeable advice. As growth continued, though, one challenge remained consistent. 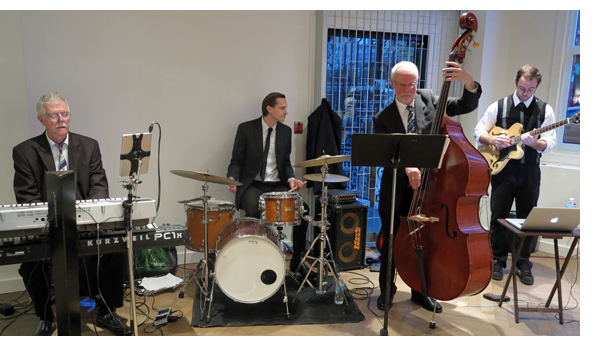 Their showroom resided in an older building which was never designed with acoustics as the priority. Sonically retrofitting that space remained a tall order. After much consideration about further improvements possible at the old location, the family ultimately decided to break with the past. They wanted to establish a new location, built from the ground up, to give customers a fantastic musical experience and to showcase the full sonic potential of each piece of equipment they sell. Igor chuckles at times as he describes the process of making the new store a reality. While he tells the story in a humble and lighthearted way, it’s clear that a lot of thinking went into the new 5,000 square foot layout. His first challenge was finding the right location. Igor describes his first encounter with the new location as an immediate attraction for “a shell of a building with columns that were actually in all right places – like a blank canvas!” Seeing the theoretical potential, he then set to the more difficult task of designing the layout. Igor jokes, “I’m no architect,” but for several weeks, the FloorPlans Pro iPhone app served as his constant companion on the commuter train to and from work, helping him turn his ideas into tangible plans. He also jokes about the many hours he spent wandering around Restoration Hardware stores in search of new ideas to make the vision a reality. His first goal was to make the store feel less like a retail space. As he put it, “I wanted it to feel more like a living space than a listening room — not just a space for audiophiles, but for entire families.” Experiencing the store illustrates the extent to which he achieves his goal. It’s clear they pulled out all the stops to optimize and future-proof their retail space. In addition to large open spaces near the entry, four acoustically-optimized listening rooms are nestled within the facility. Each room features comfy sofas, dim lighting, and an uncrowded layout despite all the gear within. It’s easy to forget you’re in a store. The only hint of the outside is a porthole-like window in the door of each listening room. Like being on a ship under the water line, the room is very comfortable on the inside, so being on the other side of the porthole has, um, very little appeal. Blended among each room’s comfort-leaning amenities is specific treatment for the best acoustics for the space. Igor describes emailing his room dimensions and photos to Vicoustic, having them determine the ideal solution for each space, and taking the leap of faith that their results would meet his expectations. Ultimately, it exceeded them. The resulting room treatments look rather like modern art, with form equally important to function. 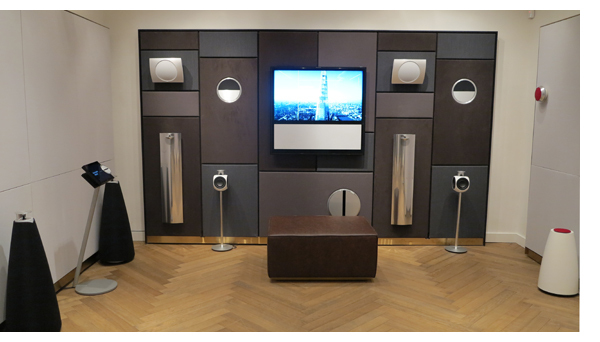 According to Igor, $10,000–$15,000 dollars in audio treatments grace each room. He sees the expense as a long-term investment since it allows the audio gear within to reach its full sonic potential, and lets customers hear what the equipment is truly capable of. 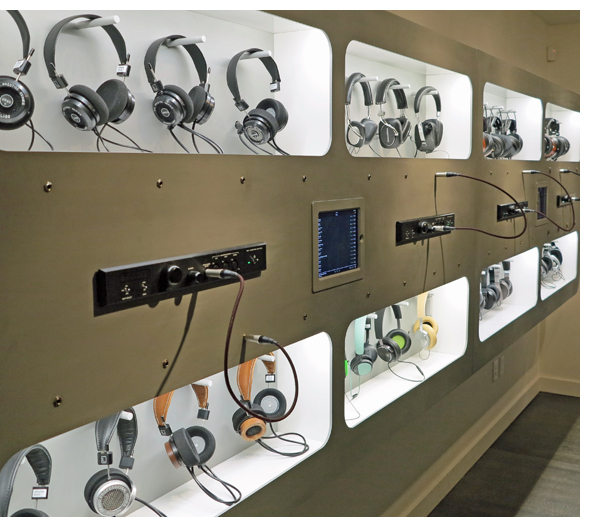 Beyond the listening rooms, the store offers a hands-on wall of headphones, an additional wall dedicated to turntables, a home theater space, and an enormous glass case for viewing cartridges and other small items. Additionally, a large space in the front of Hi-Fi Centre is inspired by the Bang & Olufsen store design concept, creating the open and inviting feeling of a museum. 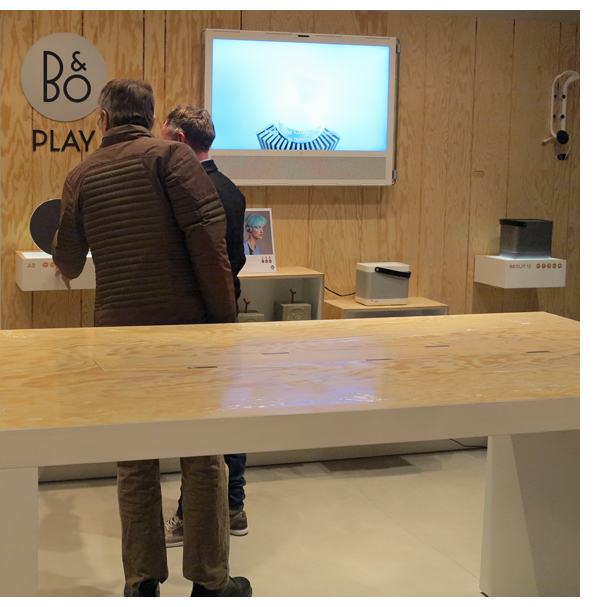 In all, the store offers a very engaging customer experience throughout, and Igor indeed succeeded in meeting and exceeding his own design goals. I asked Igor if he experienced any systems or rooms which were particularly difficult to set up. In response he provided a personal story. Early in the relationship with his girlfriend (now his wife) he decided to surprise her with an upgrade for her old boom box. He carefully set up the small integrated amplifier and placed the speakers into the room where they offered the best sound. When she arrived home, Igor got a reaction he didn’t expect. She was not happy about the obtrusive nature of the large system in her small apartment. With their relationship in the balance, he pleaded for her to put in a favorite CD before passing a final judgment. According to Igor, she soon had a huge smile on her face. Similarly, he finds many Hi-Fi Centre customers reluctant to have speakers jetting out into the listening space after setup, but more often than not, the best possible sound wins out over the small intrusion in living space. Igor’s eyes twinkle as he shares a postscript to the story. He describes his wife’s discerning audio insights today. When the married couple moved into a bigger home, she wanted larger and more resolving speakers. After listening to the newly set-up household system, she paused, then pointed at the temporary bare-wire speaker cables being used. Hearing sonic limitation, she said, “And when do we get the real speaker cables in here?” It seems audiophile genes run throughout the family.